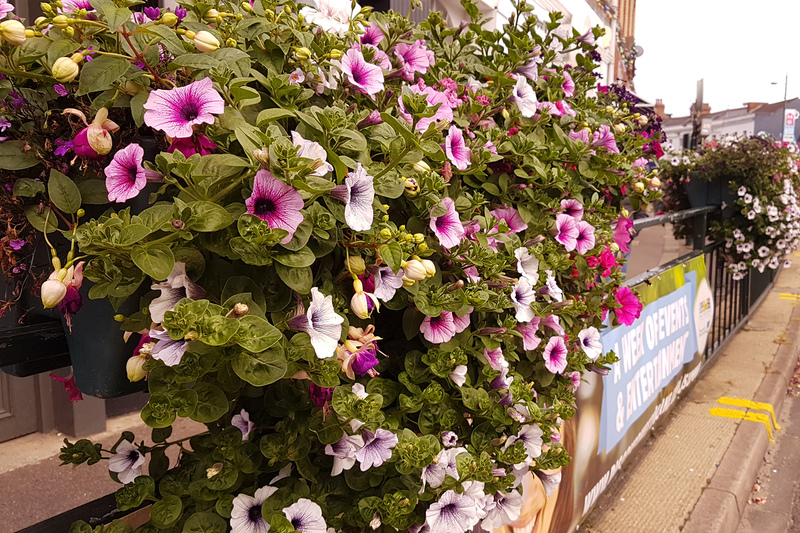 Westbourne in Bloom – A Quick Update. Since I last reported on Westbourne in Bloom, shortly after the baskets were planted, the flowers have grown and come further into bloom. Poole Road and Seamoor Road in particular are becoming a blaze of colour. The baskets on the crash barriers opposite Marks & Spencer are a particularly attractive show. The colours add significantly to the shopping experience, and it is nice to see that some shops also have their own displays. Floral displays can be very simple, but the addition of brightly coloured planters can make a place look so much more welcoming. So many flower beds have been turned over to “Easy Maintenance” nowadays, so colourful plants make a welcome change. Let’s hope that Westbourne wins an award for its efforts!